License plate data: business opportunity or public safety risk? 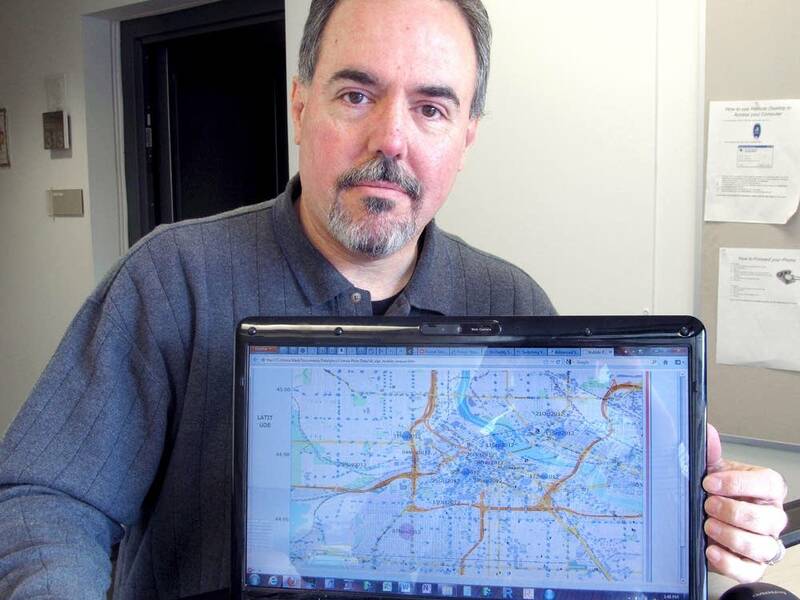 Academics and entrepreneurs nationwide have received copies of a massive database that the Minneapolis police department uses to track the location of cars. Where some see business or research opportunities, the city sees a public safety risk. The data come from the city's network of automatic license plate readers — cameras that record the locations of hundreds of thousands of cars every month. Minneapolis has received at least 100 requests for data from its license plate scanners over the last five months, ever since the Star Tribune first reported on the existence of the data. Most requests came from people who wanted to know where the scanners had spotted an individual license plate. More than a third came from one man, Alex Peterson, who repossesses cars for a living. "I see a license plate hit in this neighborhood, and I do work on the Internet and find out they have a relative who lives in that neighborhood and find it at that address," Peterson said. "There's a lot of different ways I can use the information." Minnesota law makes all data collected by the government public, unless it is specifically classified otherwise. Minneapolis dutifully turns over the information to anyone who asks. But earlier in December, the city abruptly changed its approach and asked the state to issue an order rendering the data private for the next two years while it lobbies the Legislature to change the law. "It became clear to us that this was creating a real risk to public safety," said Susan Segal, city attorney. Segal said the license plate readers are designed to help police find criminals and stolen cars. In the wrong hands, the data they collect could be used to commit crimes. "Victims of domestic abuse, for example, don't want their batterers to know where they're living or where they may be working," Segal said. The city is also concerned about the increasing amounts of data being requested. In addition to inquiries about specific license plates, Minneapolis also received numerous requests for the entire database. Earlier this month, it released a file containing some 2.1 million records covering a three month period. Nine people received the database. One of them was Mark Pitts of Rogers, Minn., who is finishing up a master's degree in statistics. "And so I thought it would be an interesting data set for my master's project, and it turned about to be a very interesting dataset as you know," Pitts said. "And so you can literally see everywhere they went. I can tell you when they stopped for lunch. I can tell you when they met at the hospital," Pitts said. "There's a lot more information about their activities and movements in this data then there are about any single individual." That's why Pitts supports making the data private. But some of the other people who have examined the data disagree. Arthur D'Antonio, 25, is a California-based Web developer who has requested similar data from other cities around the country. He is exploring whether the data have commercial applications. "I personally believe that the data shouldn't be being stored on innocent people at all. But I also believe that if it is, we're paying for that," D'Antonio said. "And so anybody should be able to use it for whatever legal purpose they want to use it for." D'Antonio hasn't figured out exactly how to make money using the data, but the fact that automobile repossession companies have been using it, suggests one possibility, he said. "Is there any way that we could have made it so that that guy could have obtained that data, quicker, more efficiently, maybe even on the go?" D'Antonio said. "That makes his business that much more successful. He can maybe hire more people. If there's opportunity, I think everybody should be looking to seize it." But researchers and entrepreneurs looking for opportunities in the license plate scanner databases may have missed their chance, at least for now. A recently-issued administrative order classifies the data as private for at least the next three months. It applies to Minneapolis and any other Minnesota cities that collect this data. And the Legislature will likely consider whether to make the data private permanently.